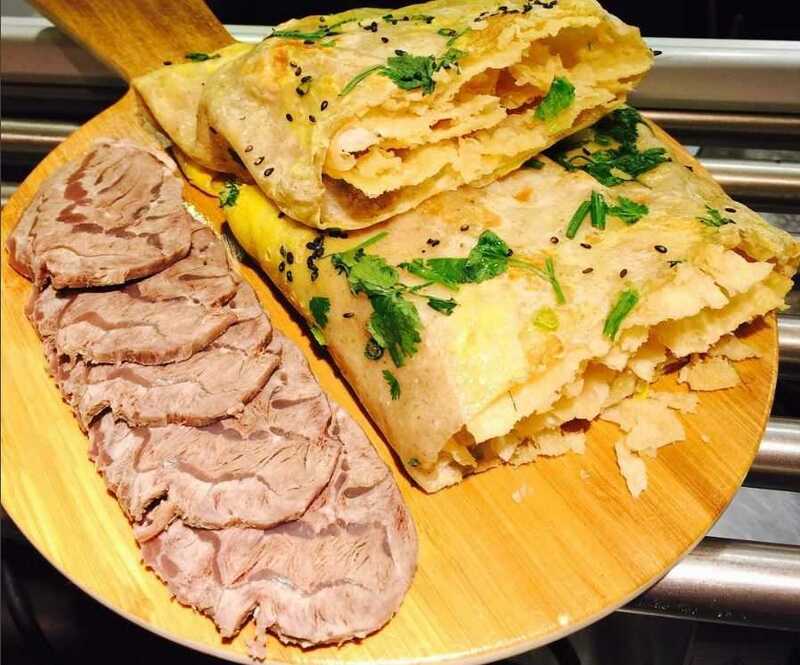 Jianbing is a popular street food in China that means “fried pancake.” However, this is not your typical syrup-laden pancake; it’s more like a rolled crepe with layers of savory flavor. 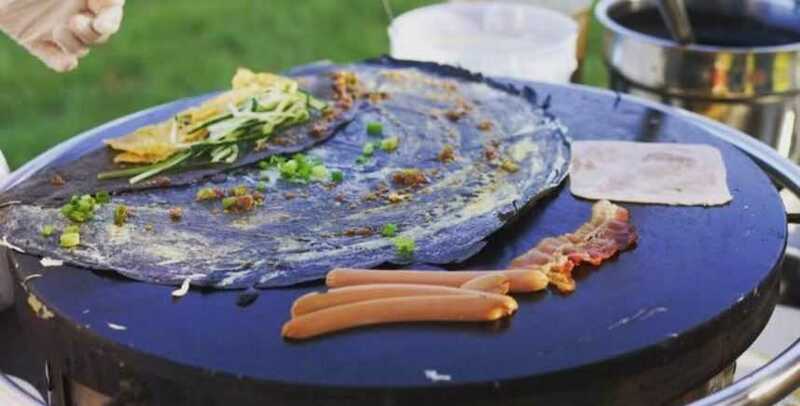 It resembles a vegetarian breakfast crepe which is made fresh on a griddle with various ingredients including a flour-based batter, eggs, scallions, chili sauce and a cracker. A variation of jianbing is cong you bing. 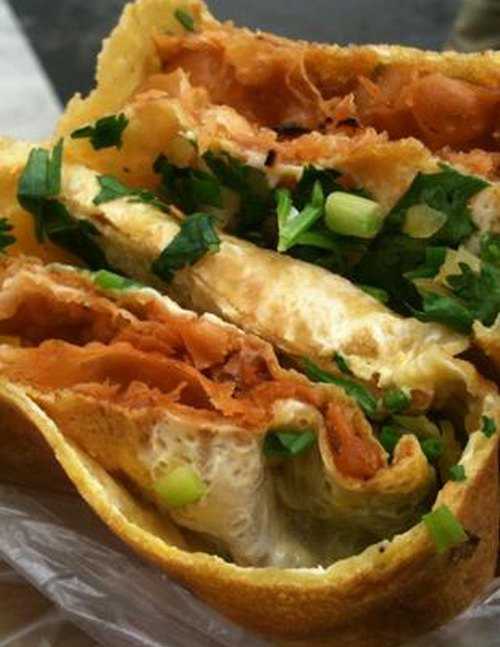 It is a thicker, more pancake-like scallion pancake and is also a popular street food in China. Where can I get it? Jianbing is often found in the Chinatown areas of most large cities. Here are some locations where jianbing can be found in the US. 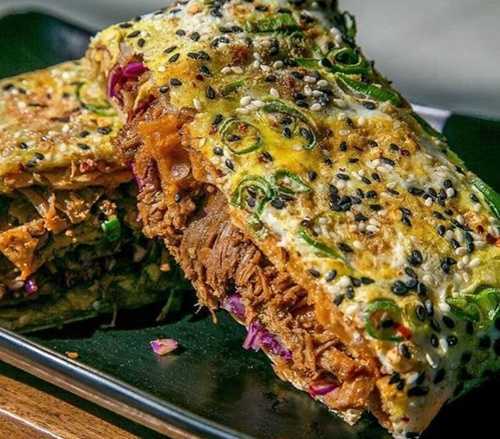 Looking for more places that serve jianbing? You can find them on Glutto right here. How can I make it? Since this Chinese crepe is a popular street food that is made fresh in front of the customer, it is naturally pretty simple to make. Here’s a quick recipe you can follow and save on Glutto here. Create the batter by mixing the flour, milk and vegetable oil. 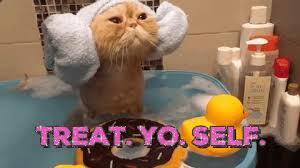 Consistency should be like heavy cream. Add water to thin, if necessary. Spray crepe maker or flat skillet with cooking spray, then heat on medium-low. Pour batter on hot surface and spread evenly to cook 1-2 mins. Crack egg on crepe and spread evenly. Cook another 1-2 mins until egg is no longer raw. Spread green onions and cilantro evenly over crepe. Remove crepe from crepe maker or skillet and brush with black bean and chili pepper sauce mixture. Place a wonton cracker in the middle and fold crepe into thirds. Cut in half and enjoy!